Despite having never seen a single episode of Buffy...I quite enjoyed this! And shshhh yes I know you're going to go yell for me to watch it, but do we all acknowledge how many books there are in the world and that I am trying to read them all? Fitting in tv shows is the Real Struggle. rip me I try. This was really a really fun catastrophe of an adventure, with Chosen Ones and demons and friends who'll die for you (or scream at you) and complicated family relationships. It was totally predictable, but also totally fun so like ¯\_(ツ)_/¯ life is short. Read books that are equivalent of fun flavour ice creams. 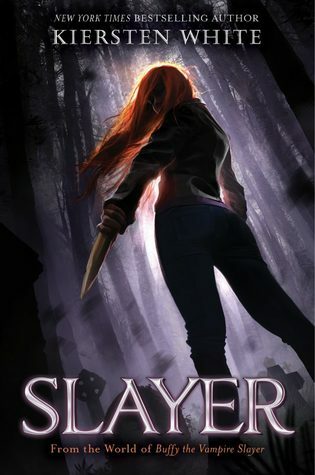 Sign into Goodreads to see if any of your friends have read Slayer. has anyone else read this one?" Yay!!! Im glad you enjoyed it! Me neither haha. Glad to hear this book works even if you haven't seen the show.